Every day at the La Carabela Apartments in Puerto de La Cruz should include at least half an hour on the balcony. Pull up a chair, pour a drink and take in the wonderful ambience and far reaching views across the town. The patchwork of stylish hotels, sub-tropical trees and distant mountains sums up this part of Tenerife perfectly. There's so much to see and so many places to explore, and as a special bonus, guests of La Carabela Apartments are entitled to free admission to the beautiful orchid gardens in Puerto de La Cruz. It's a great way to start your sightseeing. For anyone who relishes the opportunity to holiday entirely on their terms, (with self-catering, half and full board options available) holiday apartments are a great choice. Particularly if you choose a stylish apartment complex like La Carabela Apartments with all its amenities and a 'Category A' rating. 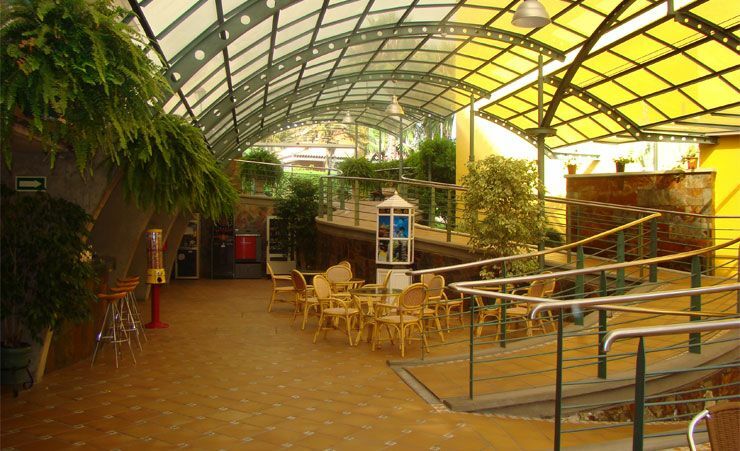 La Carabela Apartments in Puerto de La Cruz comprises two linked buildings attached by a stunning walkway and reception area. In the middle is a domed restaurant – like a green tinted and shaded conservatory. It's a beautiful spot for a meal and a convivial evening. Your studio rooms come with a private bathroom and a fully equipped kitchen with hob, sandwich maker, coffee maker and fridge. The emphasis is on light furnishings and space – these are really spacious apartments that you can spend time in without ever feeling hemmed in. 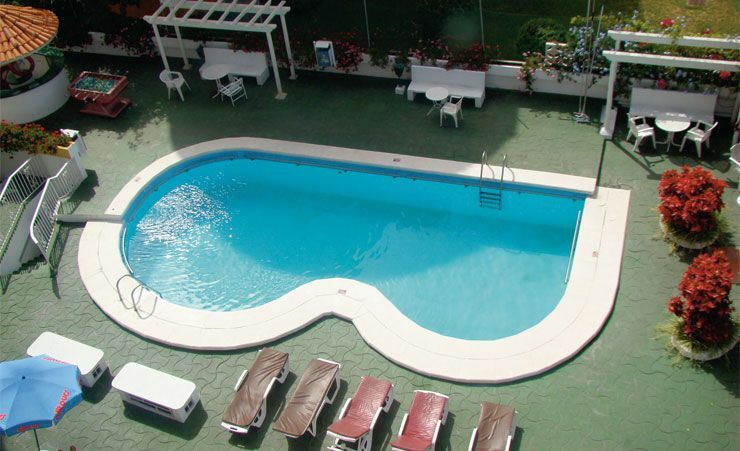 Another advantage of having two linked buildings is that each has its own swimming pool, and you can of course use either or both during your stay. There is also a solarium for ardent sun seekers. This being Tenerife, the sea is never far away. At La Carabela Apartments you're just half a mile away from the sea front with its sandy beach and views that stretch for miles. Here, in Puerto de La Cruz, in the in the shadow of the mountains, with the sun smiling down, you'll be able to appreciate the unique beauty of Tenerife. 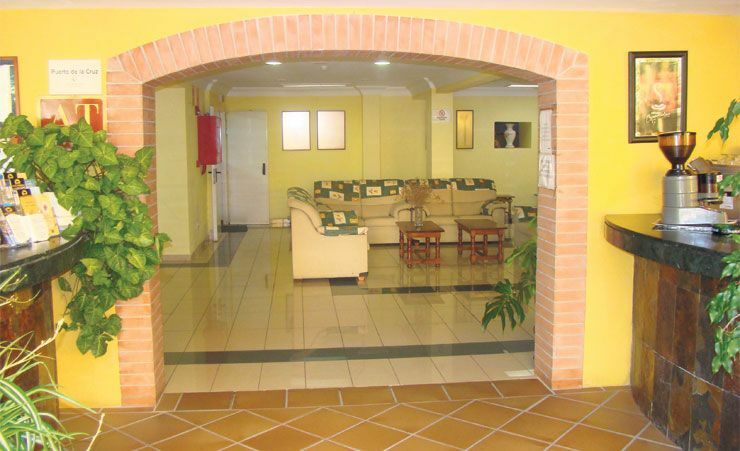 Find out more about your accommodation and the in room facilities at the La Carabela Apartments . 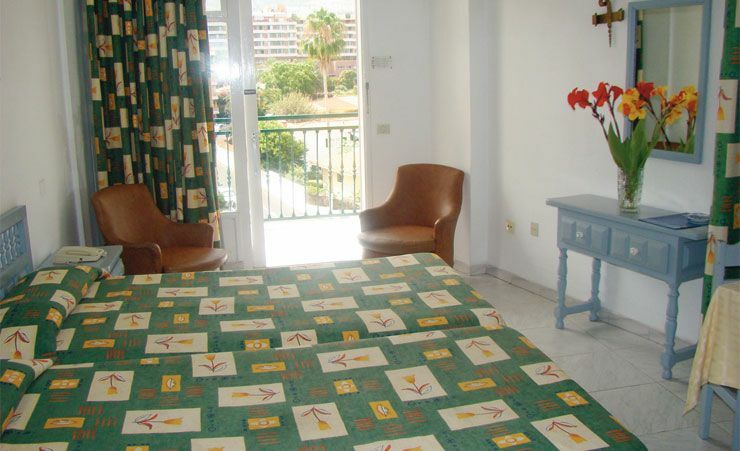 All the studios have beds, bathroom, basic kitchen with microwave and refrigerator, satellite TV, free Wi-Fi, wake-up service, safe and terrace so you can enjoy the spectacular views that Puerto de la Cruz offers. 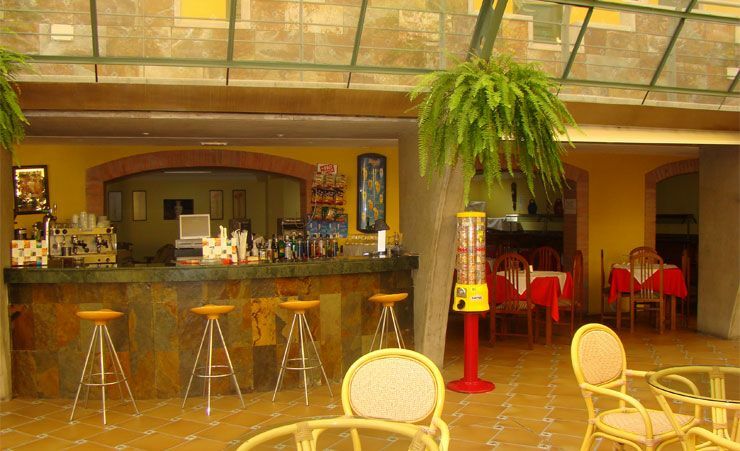 This charming resort is located in the north of the island, here you will find an excellent choice of restaurants, bars, shops, attractions and hotels, there is also easy access to the rest of the island. Puerto de la Cruz is very different to the resorts on the dry south coast, it is surrounded by beautiful and lush banana plantations and farm land. 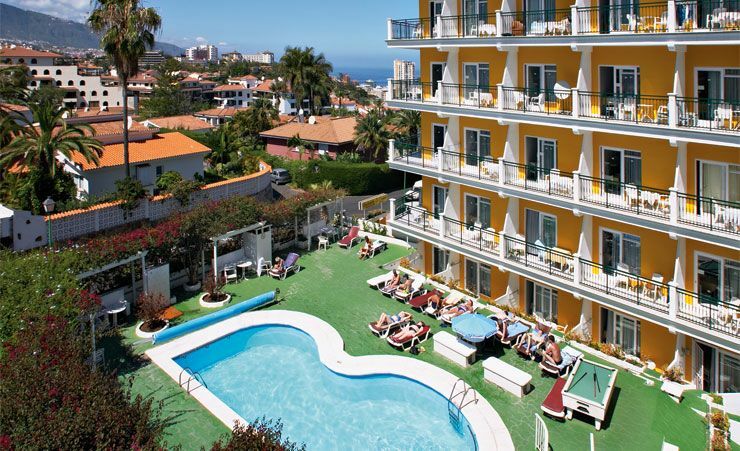 This resort is an excellent choice for a relaxing holiday, with a combination of sun, sea and more traditional surroundings than some of the larger resorts on the south coast. No meals will be included in your Self Catering package but the accommodation provided will include catering facilities. Why not upgrade your FREE weeks to Bed & Breakfast or Half board?